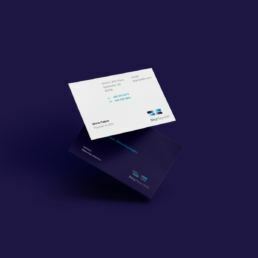 Startup Branding for Sky Republic, Inc.
Sky Republic, Inc. is a startup technology company that designs and deploys Event-Driven Blockchain (EDB) solutions for enterprise customers operating in the healthcare, finance, transportation and supply chain industries. The company had bootstrapped its initial branding as many startups tend to do. Helmed by enterprise technology veterans, Sky Republic had moved from theory-based working models and proofs of concept to product design and the implementation of working solutions for a select group of early clients. As business began to grow, Sky Republic’s management recognized a growing need to present as a credible and innovative company to continue to secure client contracts, and land outside investment capital to fund growth. 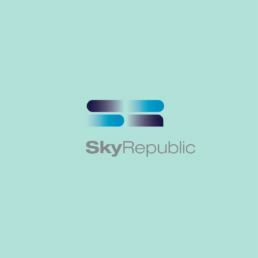 As the foundation of Sky Republic’s visual identity, the logo consists of four shapes rendered with color gradients to convey ideas of business transaction and the exchange of information. 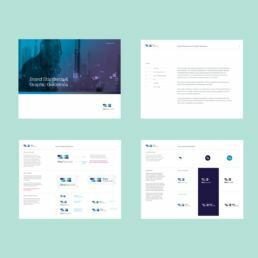 The forms are stylized and carefully arranged to subtly suggest the letters S and R in the negative space, supporting the idea that Sky Republic’s platform works in the background in support of its enterprise clients’ businesses. We worked with SkyRepublic to rebrand and reposition the company as a trusted advisor to prospective customers, clarify confusion between cryptocurrency and Event-Driven Blockchain, communicate the importance of securing moments of truth inside and outside the enterprise, and convey the advantage of deploying Sky Republic’s EDB platform to track assets, share data, automate workflows and improve transparency across all business transactions. As the foundation of the new brand, the Sky Republic logo consists of four shapes rendered with color gradients to convey ideas of business transaction and the exchange of information. 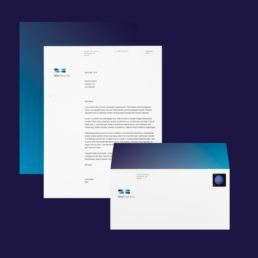 The forms are stylized and carefully arranged to subtly suggest the letters S and R in the negative space, supporting the idea that Sky Republic’s platform works in the background in support of its enterprise clients’ businesses. 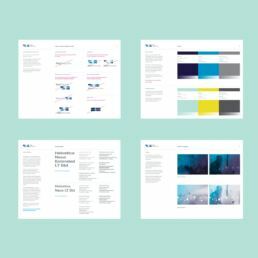 We applied the new identity to communications materials including a new corporate site and developed brand standards to guide implementation of the brand as the company grows. 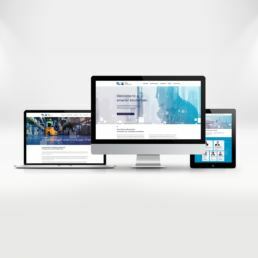 We completed the rebrand and launched the site ahead of an important regional investor conference. The brand and its services are gaining traction, capturing the interest of investors and clients, and we continue to work with SkyRepublic as they grow. 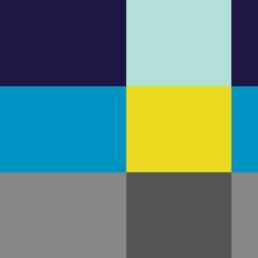 Need to level up your startup’s brand?